Sports Mouth Guards - Does My Child Really Need One? Sports are fun, and they keep your kids active and healthy. Mouth guards are a smart, effective way to protect your children’s teeth (and orthodontic appliances) when they’re participating in athletics. Mouth protectors are soft plastic appliances that are shaped to fit your child’s upper teeth. They protect teeth, of course, but mouth guards also protect your child’s whole mouth, and other parts of his or her face. They protect the cheeks, lips, and gums, and also help prevent serious head injuries like jaw fractures and concussions. 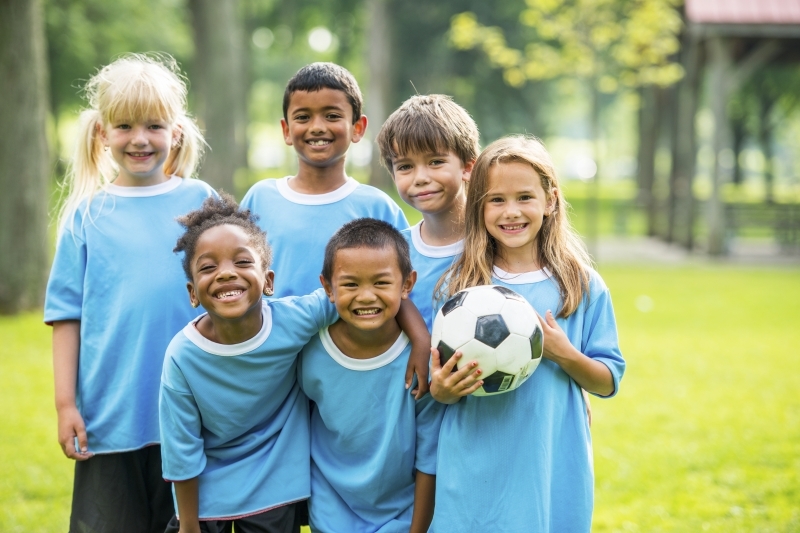 At Smile Town Langley, our dentists recommend children wear a sports mouth guard when playing any sport in which their heads might come into contact with equipment or with other players. These include obvious contact sports like football, boxing, or hockey, but they also include sports with less physical contact, like soccer, basketball, or even tennis. Ultimately, if your child plays a sport where there’s a chance of injury to the head or face, then you should consider getting him or her a mouth guard. What type of mouth guard does my child need? These are pre-formed and come ready to wear. They are the most inexpensive option, and you can buy them in almost any sporting goods store or department store. On the downside, they’re quite bulky and hard to fit, and they can make breathing difficult. Compared to the other two options, stock mouth guards provide the least protection. These are also readily available at sporting goods and department stores, and tend of offer a better fit than stock protectors. As the name suggests, boil-and-bite mouth guards are made of thermoplastic materials, which, after being placed in hot water to soften, can then be placed in the mouth and shaped around the teeth. These mouth guards are custom-made by a dentist and a dental laboratory to fit your child. The dentist will first make an impression of your your child’s teeth, over which the mouth guard is molded using a special material. Because of the time and materials involved, custom mouth guards are the most expensive option, but they offer the best protection. If you’d like to learn more about mouth guards, get in touch with the dentists at Smile Town Langley today!